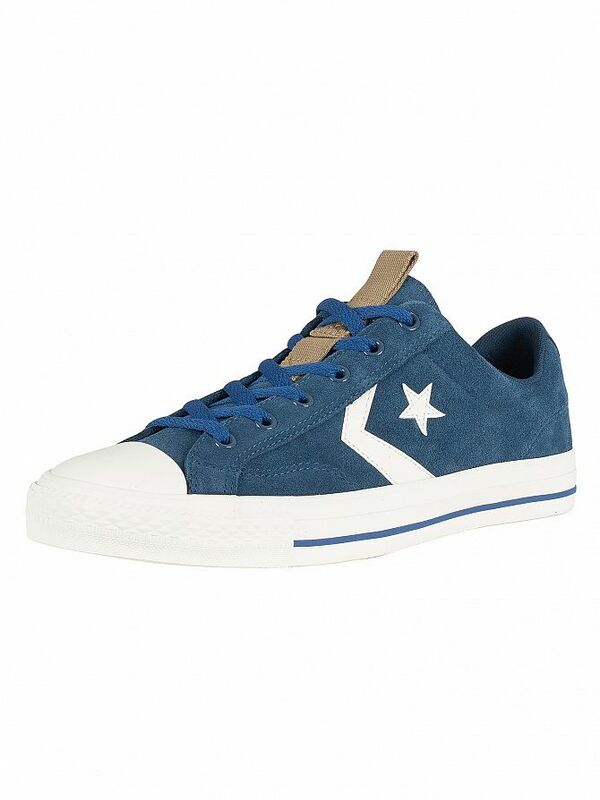 The Star Player OX Suede Trainers from Converse features contrast stitching detail throughout along with round toe and vulcanized rubber outsole with contrast stripe detailing. 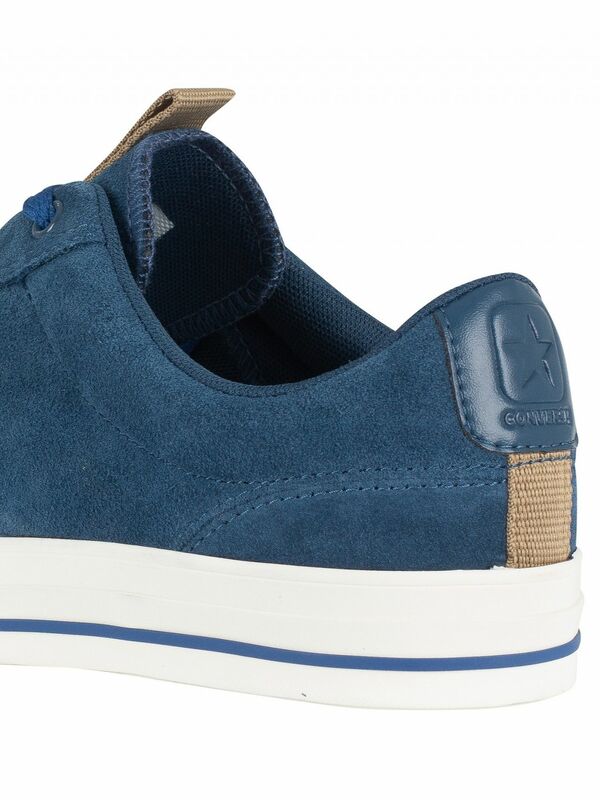 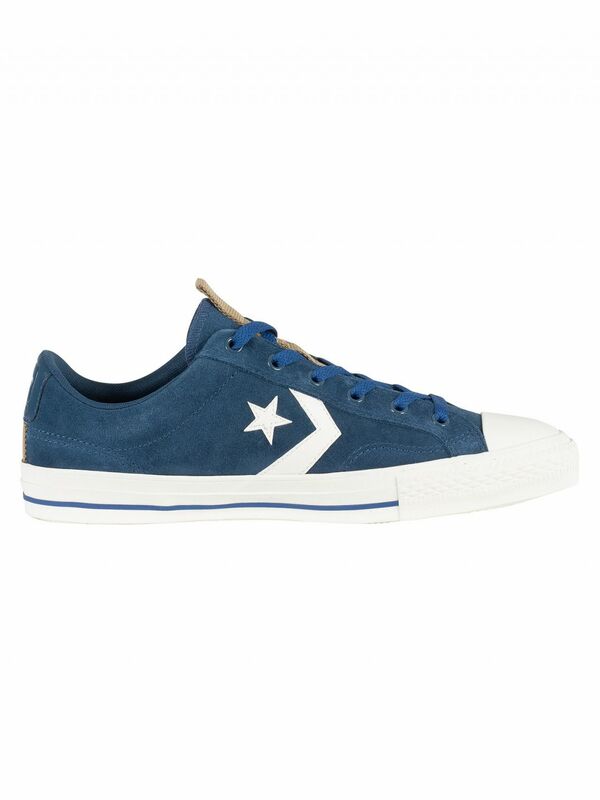 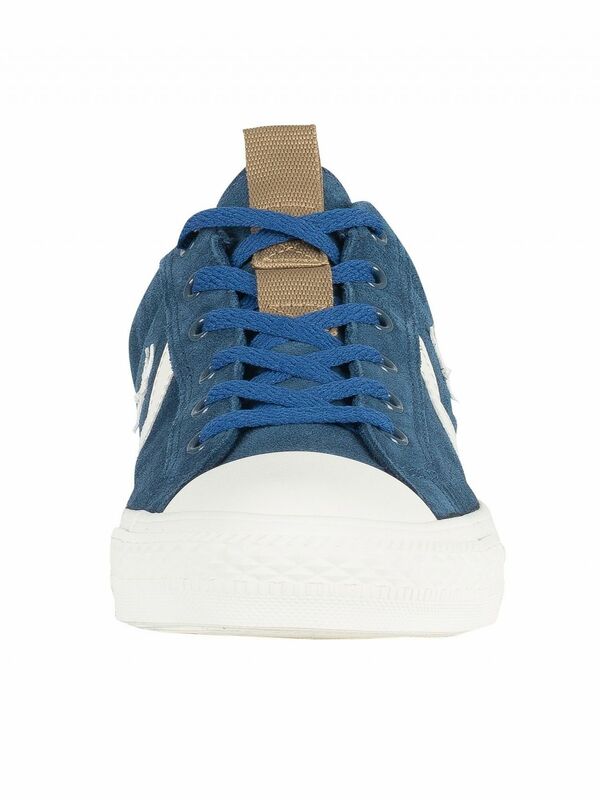 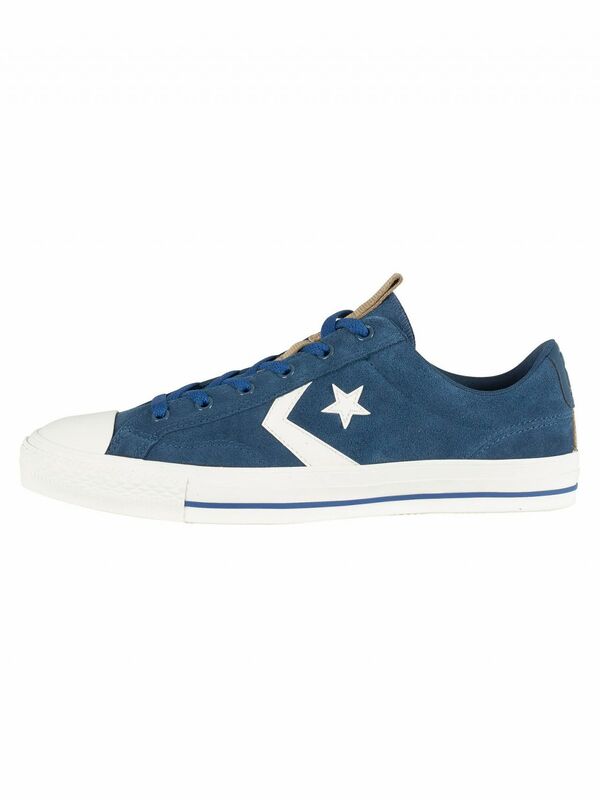 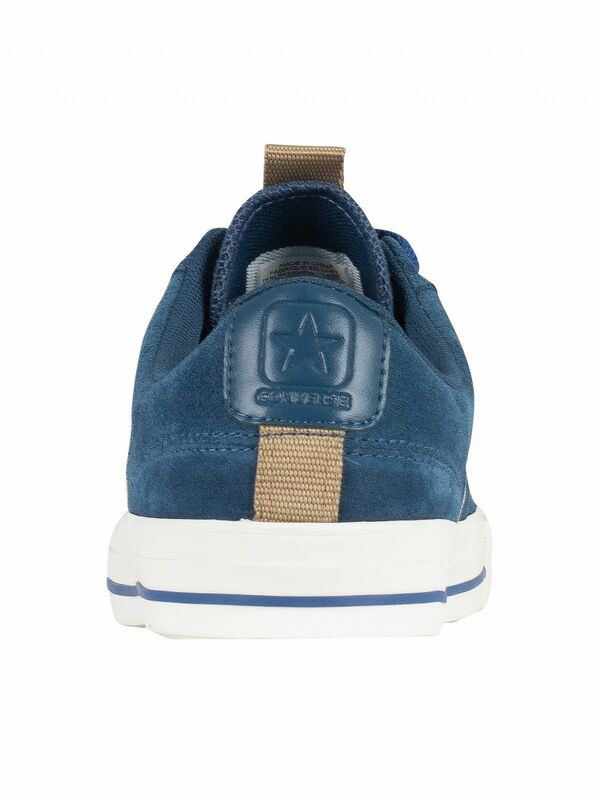 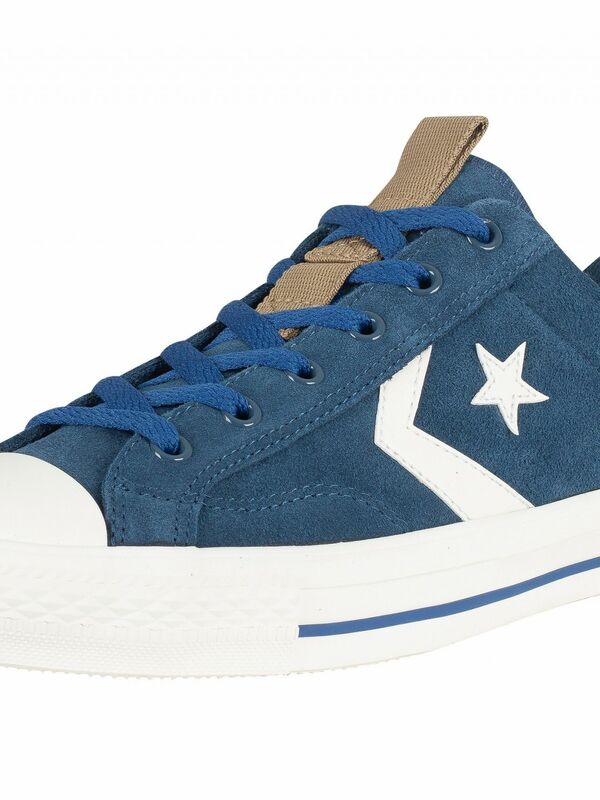 Coming in Navy colour, these trainers feature star logo on side and sports lace-up fastening with metal eyelets. 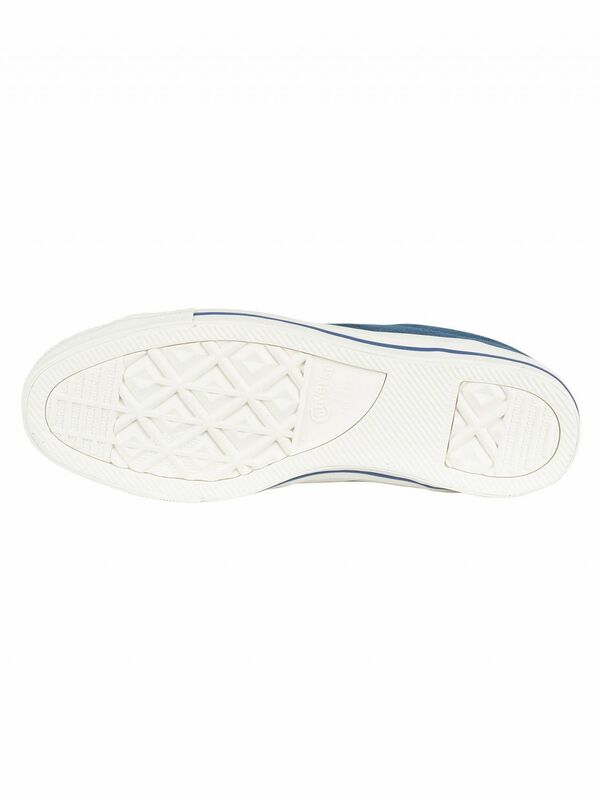 This pair of trainers feature branding on back and sole and contrasted tab on tongue.